I am sure that everyone has had some trouble in their life with making lists and taking notes – but what do we do about it? It is easy to leave your shopping list at home and way too common to find yourself in a lecture and running out of juice on your Mac. Well now if you find yourselves in these positions, turn to Evernote on your iPhone or iPad. 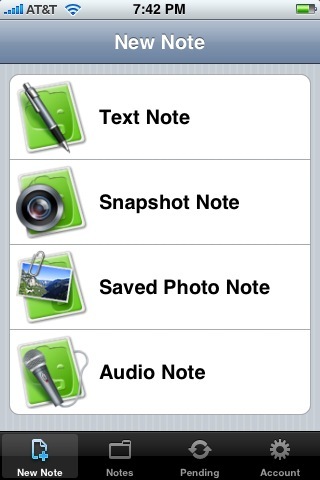 Initially, being dubious about how good Evernote was going to be, I was skeptical. I had no reason to have the app on my iPhone and iPod Touch and almost uninstalled it on a few occasions, but then it struck me – I wasn”t using the app properly. In the screenshots of the app being used to it”s full potential, people were structuring their lives and careers in mindmaps, adding pictures from their favourite blogs and writing down mobile casino their lives in journals the size of the palms of their hands; what was I doing? 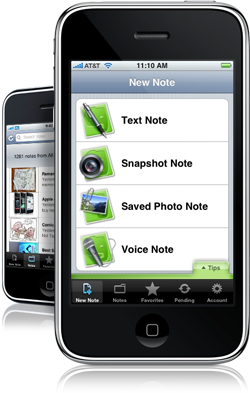 What Evernote really is, is a beautifully structured notebook packed full of features such as the ability to tag your notes, search quickly through them, add snapshots super-fast and place your location on a map using the GPS. It allows us to easily track our lives, write down secrets and store our favourite recipes for a good read on a rainy day. What Evernote is, is a post-it killer. Update: The official release date in the USA is 13th March.